While the debate between laptop and desktop may never come to a satisfying conclusion, what everyone can agree on is that high performance is always heavily desired, often above all else. Introducing the Thunderbolt made this a reality, and now anyone searching for optimum performance across a variety of peripheral devices needs to consider the best Thunderbolt 3 Docks. Devices with a Thunderbolt port can introduce power users to a whole new world of high speed connectivity, more streamlined operation, and multiscreen efficiency that puts every mid-90s hacker movie to shame. Much like the best gaming routers transform your online dominance, and the best ethernet switches ensure you never lose that precious connection again, Thunderbolt 3 Docks can give you everything you need to efficiency and productivity throughout the magic of a single cable. It’s not really magic, of course, but it works so well and with such ease – often with no need for drivers and installations – you’ll be disappointed in yourself for not investing in one sooner. There’s no time like the present, after all. 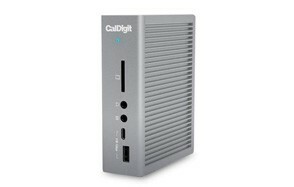 Caldigit TS3 Plus is our top pick for a Thunderbolt 3 Dock which with 15 ports is the most extensive option you’re likely to find, at least until the next generation bursts on the market. Included in these ports is 5 USB-A and 2 USB-C boasting 5Gb/s transfer speeds for fast and efficient files moving across and allowing you to keep everything organized and stored with ease. The Ultra High Speed II SD card slot provides further transfer options, making it a superb option for those who use portable storage solutions daily and also find themselves in more of a hurry than most. This boasts an optimum 312Mb/s transfer speeds, so the days of stressing over slow migration are a thing of the past. You could even say it’s as fast as, well, a thunderbolt. For gamers, developers, or those who believes skipping between tabs and windows is something you don’t have the time for (and who does?) the multiple display options are reliable and so high definition, you can see the wind whispering through the 5 o’clock shadow of background characters. For efficiency and productivity this is crucial for easy and hassle-free work, and the 40Gb/s throughput is unprecedented, giving you a top of the range solution. While the multiple ports will do a lot to reduce desktop clutter, this high power demand also demands more power coming through, so the adapter is large, maybe too large for smaller spaces. However, this is a miniscule tradeoff, and if you’re a creator or a power user, we’re sure you’ll not have too many issues with this. Easy to set up and easy to use, this intuitive option could solve every problem you’ve had with straightforward connection, operation, and productivity. Make sure you also check our guide to the best USB hubs. The StarTech Mini Thunderbolt 3 is a compact option for those shopping on a budget or looking for a smaller, more portable option with no need for all the bells and whistles of more substantial and more expensive models. Still, despite its size, this Thunderbolt Dock offers a variety of useful features including the Dual DisplayPort capabilities boasting 4K, 60Hz display and 50Hz when staying traditional and using a single display. Considered by some to be a single cable to rule them all, it has a Gigabit ethernet port and a single USB-A port (with the two display ports we’ve already mentioned). This USB makes setup simple and also flexible, and the lack of a power cable port means it’s one of the most portable options around. The bus-powered technology saves jumbled cables causing trip hazards at your local cafe, but the included cables save you the hassle of sourcing them yourself. With it being so small you won’t get the versatility of larger products and so those with more demanding projects or needs may have better results looking elsewhere. However, small projects or those who just need a one-stop-shop for more varied connection options for the home office or game room can still find a lot to love about it. It’s compatible with Mac and Windows, among other operating systems, and the size is deceiving. It’s still well-built, which is ideal for when you need to use it when on the move. It’s also powerful, delivering a superb 85W to ensure reliability, although the more ports you make us of the less effective this will be. For versatility and range, the Cable Matters Aluminum Thunderbolt 3 Dock is a great choice for those looking for something reliable but with enough oomph to ensure you don’t get what becomes only a shiny aluminum paperweight after just a few months. Using AC outlets, you’re guaranteed a consistent power source with no need to worry about random failures or lack of charge. For those who need reliability as much as they do connectivity options, this is crucial for efficiency and productivity. Like other Thunderbolt options, it provides Dual 4K displays at 60Hz for ultra-clear graphics, while the multiple USB ports provide input options for all your peripheral accessories but also leave enough space to plug other gadgets in when needed. Not only is this convenient, it also eliminates many of the lagging and slow processing issues you’ll find with ‘older’ technology, even if that tech is just the previous generation. If you work with large video and image files, this is a superb choice because of the rapid read and write speeds for transferring data. While Thunderbolt and USB-C are traditionally quick compared to older systems, even this upgrade blows them away. They’re so fast, in fact, you’re unlikely to notice them transfer, so be prepared for a lot of notifications tell you some files already exist on your computer. Because of its versatile compatibility, it’s an excellent choice for a MacBook Pro Dock as much as it is for your Windows, Linux, or other, a little more niche systems. We know most people have their preferred system, but if you ever feel like investigating how life is on the other side of the fence, this Thunderbolt dock is an ideal companion for easy allegiance-switching. 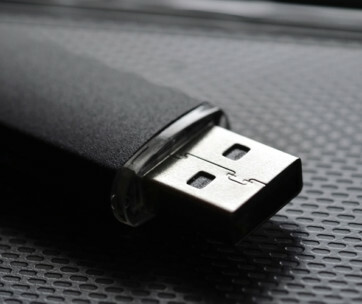 Our handy guide to the best USB flash drives features more great products like this. 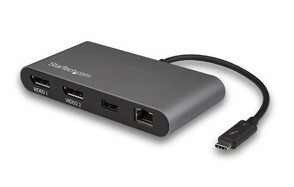 Compatible with Macs, the Kensington SD500T Thunderbolt 3 Docking Station comes with 40Gbp/s of data transfer speeds, it provides Ultra-HD resolution whether you’re using dual or single displays, and also delivers 85W of power for consistent and wholly reliable performance that is completely hassle free, or at least mostly hassle free. The 85W power means it’s easy to charge your Macbook even during strenuous situations and keeps you connected at all times, while the peripheral devices, including your keyboard and mouse, connect easily and save space on your Macbook for other connection options. The fast ethernet port is also crucial for those who need reliable network connection, while the speaker or headphone port means you can enjoy your favorite tunes uninterrupted, which is really all anybody wants, isn’t it? The single-cable design makes it easy to keep everything organized, and you can also daisy chain it with other Thunderbolt 3 docks for further connectivity options, although this isn’t always necessary because of the multiple monitor ports. Speaking of these ports, while it’s not consistently present there are instances of flickering and flashing, but this could merely be an issue with the supplied cables and easily fixed by purchasing more. If this flickering isn’t an issue straight out the box and while it isn’t compatible with anything other than your Mac, it’s still a Thunderbolt 3 Docking Station boasting massive versatility, high performance, and a sleek, sophisticated style that blends in perfectly with your other Apple products. For gamers, the Lenovo Thunderbolt 3 Graphics Dock is a marvel of a product which is why we’ve made it our premium pick of the best Thunderbolt 3 Docks. Using an NVIDIA 1050 graphics card, you get high quality performance during processor-heavy games throughout the convenience of your laptop or ultrabook. These results are what you’d typically expect only from a desktop computer, but brought to you portable device. For unrivaled display options, you can project across up to three monitors with seamless clarity in 4K resolution and even fast-paced games – especially ones which typically would not cope with the graphics on your laptop – blast from around 32 fps to over 100. The only issue with the dock is the absence of daisy chaining, but considering its dedicated design, this is to be expected and if you need maximum connection options, there are other choices around. It’s not strictly for gamers though, and as much as it will enhance your late-night adventures, it can also transform your professional work. One job this is most applicable to is video editing and content creation. With a higher frame rate, crisper, more clear and vibrant graphics, it makes creative ventures come to life like some 21st Century fairytale. Battery also isn’t an issue, with the Lenovo delivering continuous power through the Thunderbolt and USB-C ports, so while you’ll do most of your gaming in your living room to unwind after a long day, this gives you the chance to fire up your favorite game anywhere you feel like. We’d advise you don’t get into the habit of doing it at work though, but you do you. 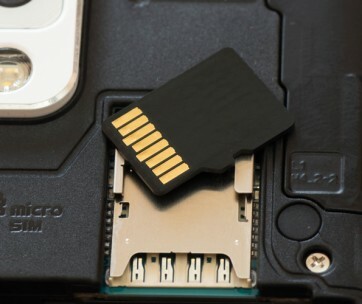 Find more great products like this by checking out our guide to the best microSD cards. The easily connectable Plugable Thunderbolt 3 Docking Station is another option for those after the performance Thunderbolt systems but maybe aren’t too sure it’s for them right now. For the price, it’s a decent entry-level Thunderbolt 3 dock and while it doesn’t come with everything you’d find on more comprehensive models, it’s still a suitable candidate for increasing efficiency and performance. This is in part thanks to the expandability, boasting daisy chaining capabilities where you can connect up to 5 additional Thunderbolt devices. While it’s unlikely novices will require such options, if you need multiple docks, the price of the Plugable makes this an economically viable choice. The multiple ports are also massively convenient and ensure you won’t want for additional connection options. These include both USB (both A and C types) and an SD card slot for fast data transfer. The DisplayPort++ offers vivid colors and smooth transitions between images, so it’s good for video editing and also a suitable but not a perfect substitute for gaming. However, this port is not compatible with all devices, so check before purchasing to ensure it will work with your machine. It also won’t charge the host system when in use. If you’re working for a dedicated base, this won’t hurt you too much (although could be inconvenient), but if you’re looking for an on the go solution, there are better options out there. This compounded with potential incompatibility with certain systems mean that while it’s decent, there may be better options out there for some. If not though, and you own a Thunderbolt 3 enabled Mac or Dell laptop, this provides a low-cost alternative. The Promise Technology Thunderbolt 3 Dock is an upper-tier option that’s both sleek and stylish and compatible with pretty much any device you connect to it. This is good news for everybody, and if nothing else will at least reduce the tired Mac vs. PC debates to nothing but a quiet murmur. It’s much better when everyone gets along, anyway, right? Onto its features: you’ll have the option to daisy chain up to 6 devices, which is the highest we’ve found so far, and it supports 5K (single screen) and 4K (dual-screen) displays for superb graphics and dynamic colors you’d normally only find in real life (and sometimes not even then). You’ll also find yourself gifted easy, super speedy file transfer. There are 5 USB-A ports, and 1 SD card slot plus Gigabit Ethernet to ensure consistent and reliable connectivity for those days research looks like it’ll never end. It’s also simple to set up, with an easy plug and play system reducing time wasted with drivers, sign ups and all the other nonsense you get from other options. The Thunderbolt charging works at 60W, and it fits perfectly onto the desktop, and is also lightweight but sturdy, and the on-board lights are bright enough so you’ll always be able to tell it’s on. However, there’s a belief its performance doesn’t quite justify its price tag, especially when compared to similar products costing much cheaper. This is mainly down to the lack of DisplayPort output, because while the HDMI still offers excellent images, it’s just not the same, is it? Don’t forget to also checkour guide to the best USB C cables. Boasting a not-the-biggest-but-still-substantial 14 ports, the OWC 14-Point Thunderbolt 3 Dock provides wide device versatility and helps you control all your charging, transferring, and connectivity options from one secure and reliable hub. These ports include DisplayPort, USB, and SD, and the DisplayPort ensures screen real estate is wide, giving you the chance to work on multiple projects (or games) at once without muddling yourself up. The SD slot transfers data at speeds hitting as high as 312Mb/s, while all your other necessary desktop accessories (microphone, mouse, keyboard, and more) connect reliably to enhance productivity to levels that might – at first – scare you a little. To ensure you’re always ready to get down to work (or work towards some downtime) the 85W power throughput is an optimum option of notebooks and similarly small machines. However, while you’ll get a 4K dual and 5K single screen connection, these aren’t the most reliable around and have an annoying habit of flickering, which considering the price is something you’d hope to avoid. Again, though, this is not a catchall, and you can buy longer replacement cables that should hopefully solve the problem. If you’re willing to take the risk, then go for it. It’s also not as easy to use when you compare other options so unless you’re experienced with docking stations (or a docking savant) it may be wise to put your money elsewhere. The learning curve isn’t so steep that anyone who wants to learn as they go can’t, though, so it’s still a decent option, and it may even prove beneficial for you to spend a couple of hours working everything out. So even though it doesn’t say Thunderbolt 3 in the title, the Cable Matters Gen 2 USB C Docking Station is still Thunderbolt 3 compatible. It brings fast read and write speeds through both UHS-II SD cards and microSD cards at the same time, which if you’re in a rush is ideal, and even if you’re not in a rush is still cool, because we all hate waiting around. It supports dual screens on both Windows (10 or later) and Linux, and while it’s compatible with a Mac, there’s no dual screen capability, so you’ll have to make do with designing your cool spreadsheet no one will comment on at the meeting on a single screen. Such is life. If you are lucky enough to have a Windows laptop (which is most of you, we’re guessing) you’ll see vibrant, high-resolution graphics that pop and light up your dull home office like never before. It’s perhaps a good thing it doesn’t offer multi-screen capability with Macs, too, as the bandwidth allocation has an annoying habit of freezing it up. This is, of course, the opposite of what you want or need whether you’re working or playing or just trying to have 5 minutes to yourself watching a video on YouTube or Twitter or Facebook or wherever the cool dudes are at nowadays. While it’s cheap it performs well, so well in fact, you’d be forgiven for thinking it cost much more than it does. It’s relatively easy to set up, too and the ports a placed in a way that’s intuitive, keeping your most used accessories on one side making it easy to access and plug other cables you may not use as often. Brand - There are many brands that produce a Thunderbolt Hub, and so we needed to narrow down the wide range of these brands to ones we knew us and you could trust. These brands are well-known for providing high-quality products you can rely on. While it’s not always advised to follow the most popular brands, we feel that if you’re working with electronic devices, it’s perhaps best you do. Reviews - We wish we had the time (and the dual or even triple screens) to test out these Thunderbolt Docks properly, but we don’t. Instead, we used part of our research to study reviews closely. These are written by those who have had the time to test out their Thunderbolt Dock and can give us an idea of what are the most important aspects including connectivity, reliability, and even size and weight. Price - The best tech is never cheap, but just because something is expensive doesn’t mean those who can’t afford high-range options should miss out. Finding a range of Thunderbolt docks affordable for anybody who wants one was key here, and while they aren’t cheap, they should still be affordable for those interested. Read/Write Speed - Fast read/write speeds are essential for efficiency and productivity, especially when working with video files. This is essential for content creators and video editors, who can get a lot from Thunderbolt 3 Docks if they use them. Charging - Providing charging options for your laptop can reduce cable clutter and ensures your battery will never run down regardless of where you are. This helps with portability, allowing you to work on the go. Inputs - The more inputs the better, most of the time. If you need multiple screens, many peripherals and file transfer devices, more inputs save you plugging and unplugging your devices from your dock and keeping up your productivity. If you need more, you can also daisy chain your device. Compatibility - The Thunderbolt 3 is only compatible with Thunderbolt 3-ready devices. A new technology, this may minimize your options (although you may find a Thunderbolt to USB accessory). The best Thunderbolt 3 Docks work with both Windows, Mac, and other operating systems, but others are more restricted. Check before buying so you don’t end up with one that doesn’t work with your machine. Size - Desk real estate is often overlooked when purchasing new gadgets, but if you can’t fit your Thunderbolt Dock onto the desk, you won’t get the most from it and it could impede other accessories. Its size could also affect how portable it is, with weightier options being awkward as you carry it around. Q: Are Thunderbolt 3 and USB C the same? A: Yes, kind of, no, not really. They certainly look very similar, so similar, in fact, that if you had to pick one out of a lineup of potential cable criminals, it’s unlikely you’d get it right first, second or even third time. The easiest way to tell the difference is to look at the symbol on the cable head. On the Thunderbolt 3 you’ll have a lightning bolt (or, we guess thunderbolt, but who’s ever actually seen one of those), whereas USB-C shows the much less cool but also obvious triple-prong symbol. The difference between them is, while they look similar from the outside, that USB-C is determined by the shape of the port while the Thunderbolt 3 is the connectivity standard. 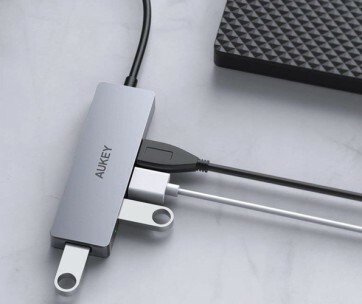 While USB-C is a data transfer system, Thunderbolt 3 combines a variety of connection and display needs including USB, Thunderbolt, DisplayPort, and power through what is a single USB-C connector. This allows you to connect multiple devices without clogging up your Ultrabook or laptop ports which we all know is at best an inconvenience and at worst a miniature equivalent of the cumbersome and confusing Spaghetti Junction brought straight to your workstation.